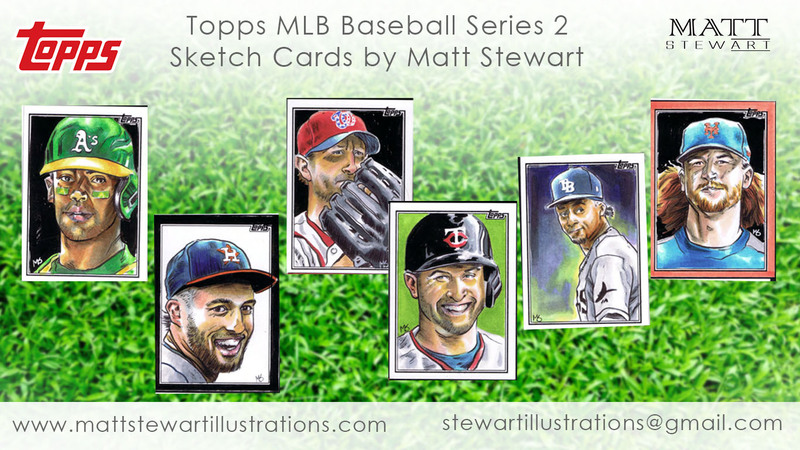 It’s been awhile since I’ve had the opportunity to post anything on my website! 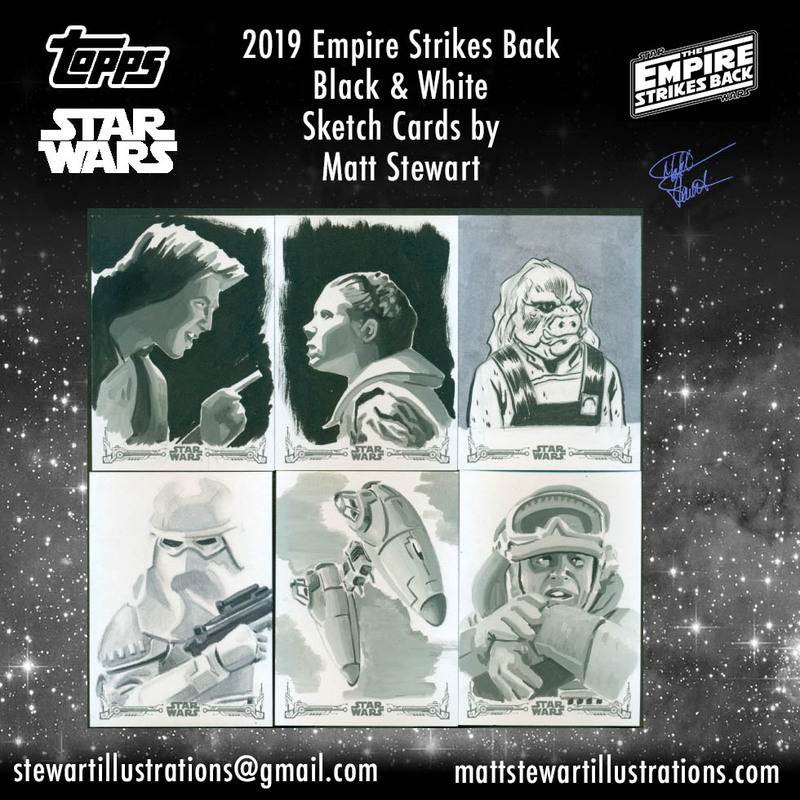 Last year I was incredibly busy with numerous trading card projects, along with a book cover and a few other projects that will hopefully be released later this year! 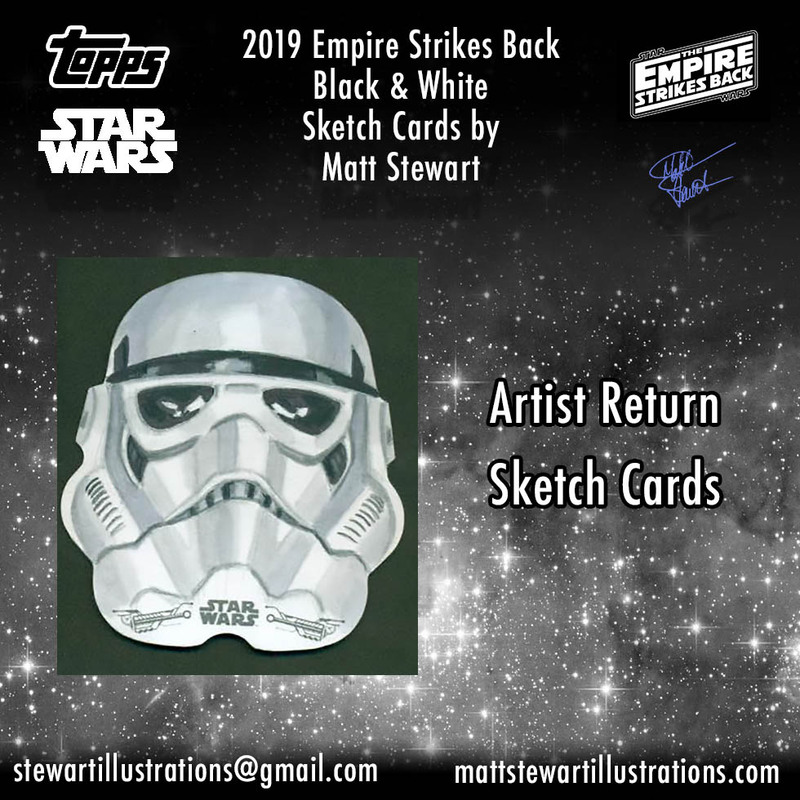 Every so often between the licensed card sets I also create sketch cards for charity raffles or for artist exchanges. 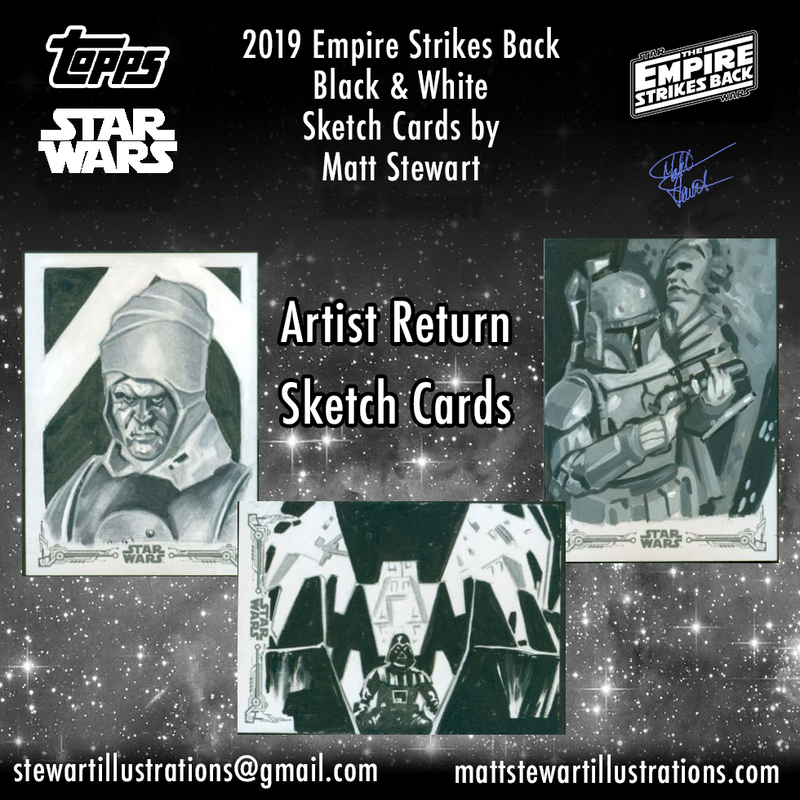 More and more lately I’ve begun steering away from non-licensed sketch card commissions as I feel I spend enough time as it is drawing on these tiny pieces of paper for the trading card sets, so when a commission pops up I opt to draw on bigger pieces of paper. 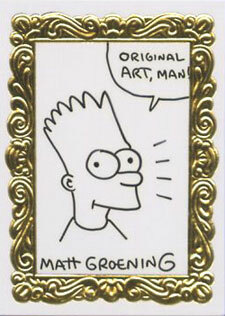 However, there have been a few charity raffles where I offered a custom sketch card created on plain paper. 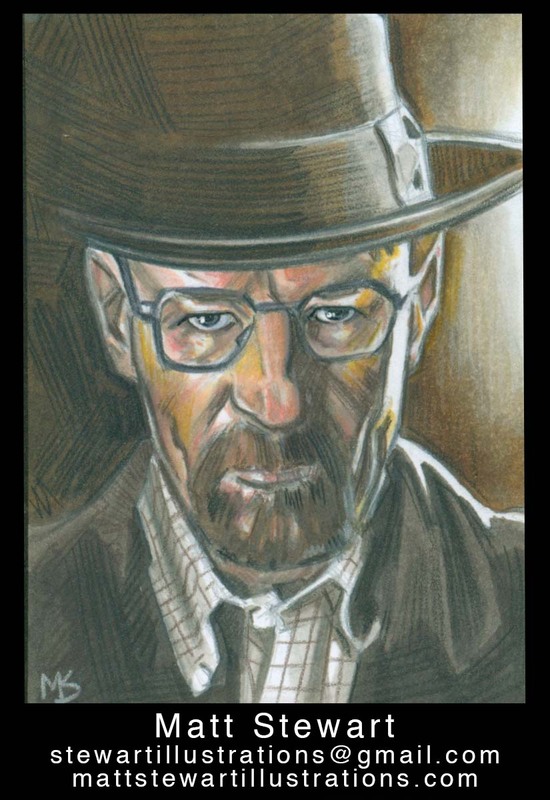 There are also a number of artists who like to exchange sketch card artwork; these sketch cards are drawn on plain paper that is the size of a sketch card, 2.5×3.5″. 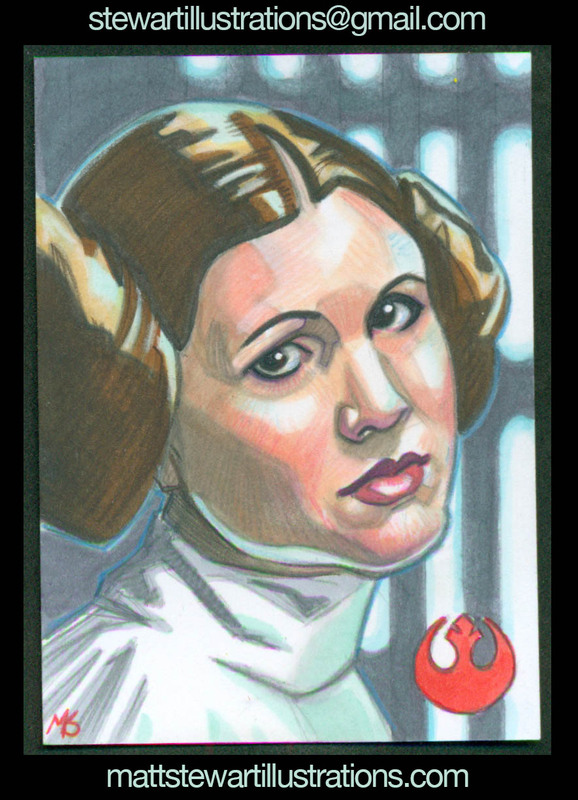 The Princess Leia sketch card shown here was from a charity raffle last year, the Princess Leia in her Boushh disguise from Return of the Jedi was from a sketch card exchange, and the TMNT, Walter White & Bruce Lee sketch cards were all from a raffle I was invited to on Blowout Cards Forum. 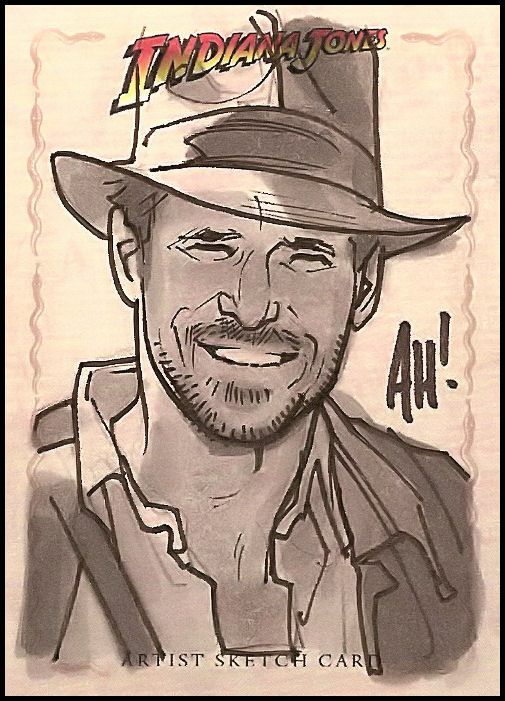 That last set of raffle sketch cards was held by a few collectors who commissioned sketch cards from a few artists and then they held a raffle for them. 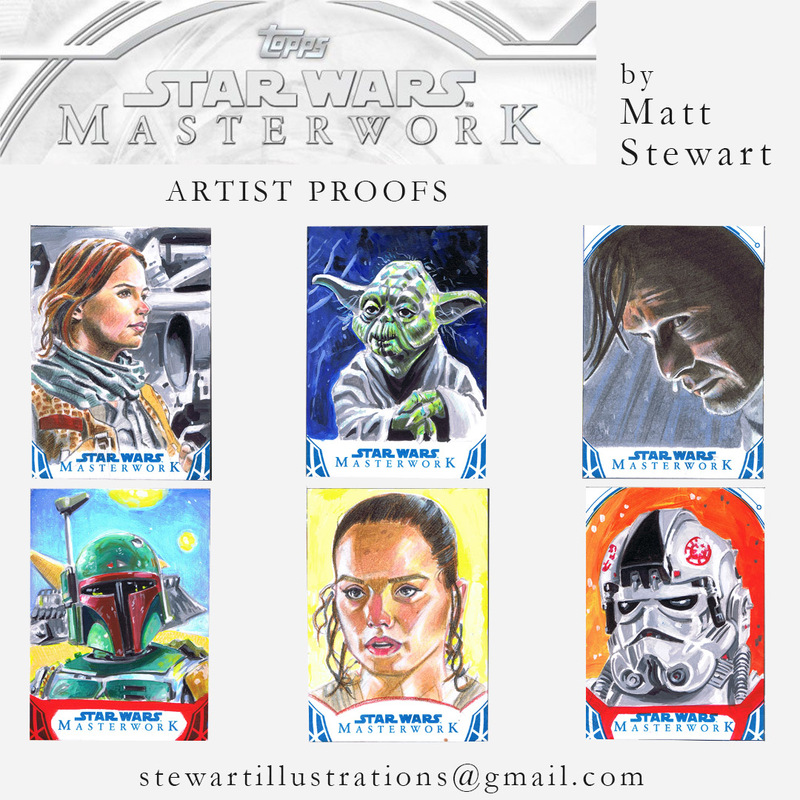 Star Wars Masterwork from Topps is a premium set of trading cards that comes out every year, for the past four years. 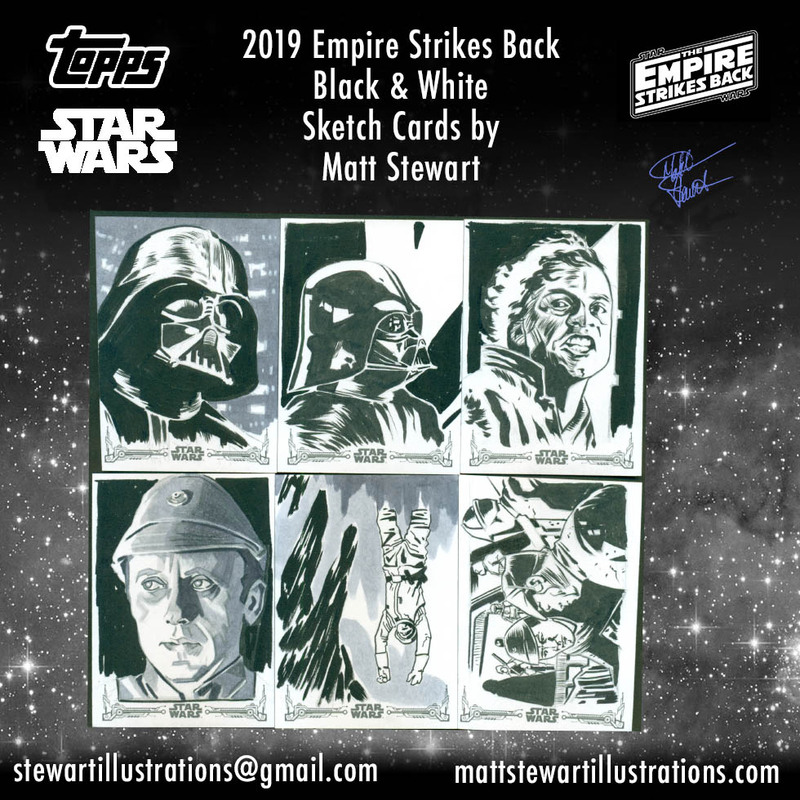 I’ve had the pleasure of creating sketch cards for the last three of these products, and I feel that this year’s is my best work yet (See previous year’s work here)! One of the reasons why I love working on Star Wars Masterwork is that it allows me to draw from the entire film and TV universe of Star Wars. 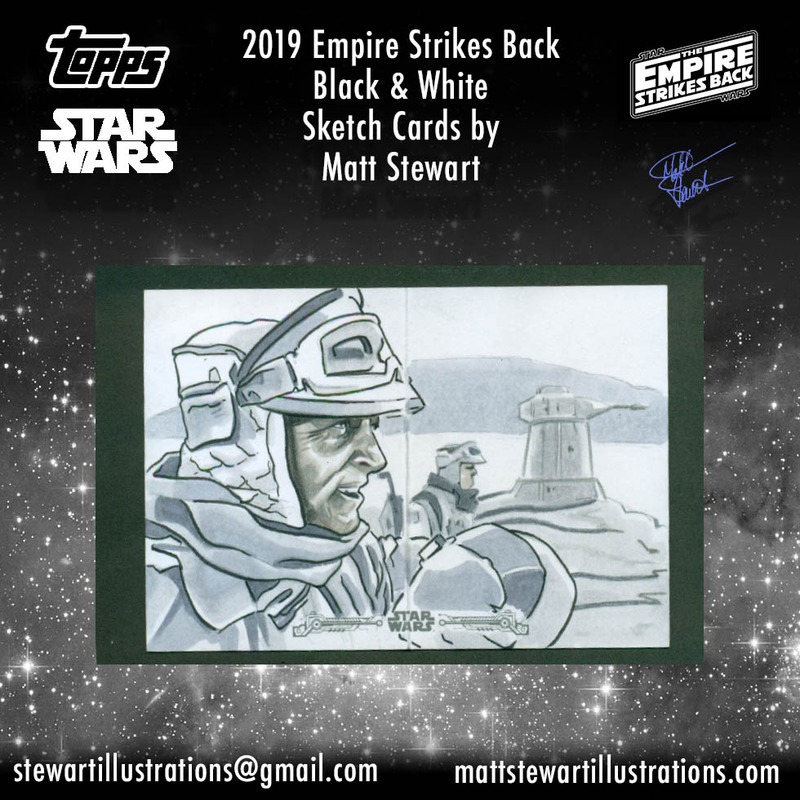 There’s other sets (like Galactic Files Reborn) that also allow for all of the Star Wars universe to be drawn from, but this one provides me thicker, higher quality sketch cards to work off of. If you were buying a top loader or one-touch protector for these cards they’d be 100pt, as opposed to regular thin trading cards from other sets. 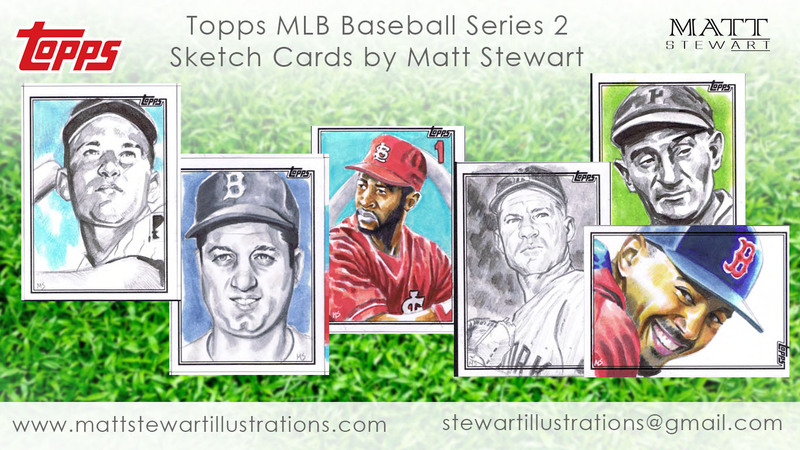 This project also has unique booklet cards, of which I was invited to draw on one of them -they are especially rare! 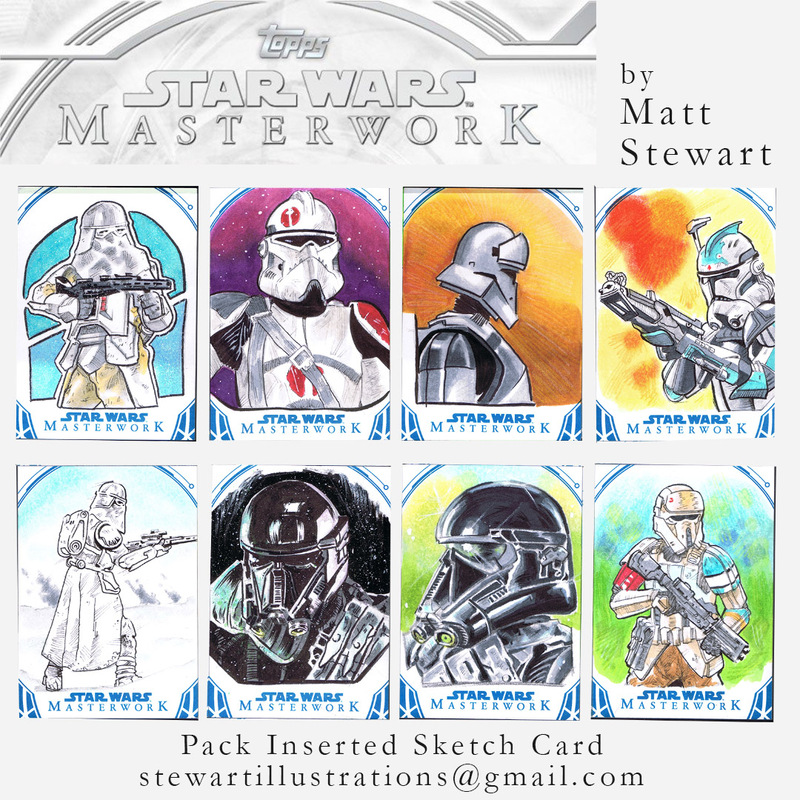 As per usual, I utilized a few different techniques for creating my sketch cards. For some of them I used pen and ink with copic marker. 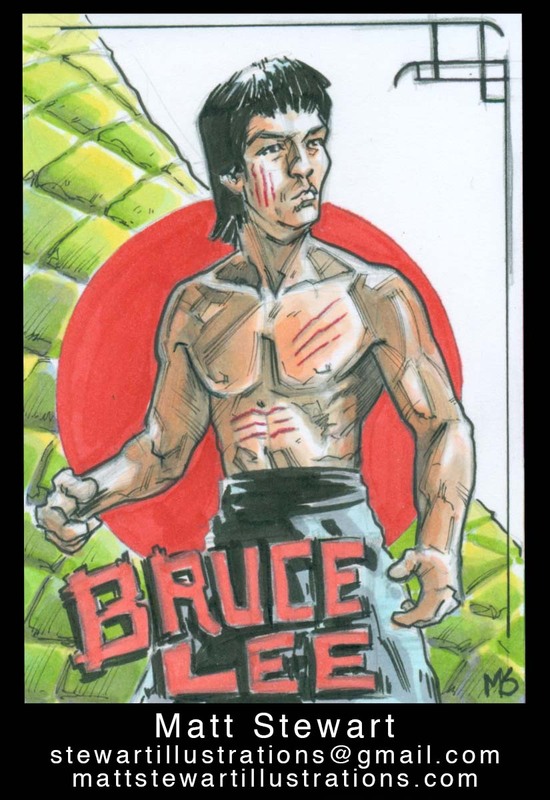 This produces a comic book like style that I greatly enjoy and has been my mainstay ever since I begin drawing sketch cards. I also used my more recent method of marrying copic markers with polychromous pencil crayons, which gives the image a richer and more realistic appearance. New to this project was my usage of water colours and acrylic paints. For the water colours I also used a little bit of gouache. I wanted my pencils to be visible and the water colours to be simple washes. The paper wasn’t too great for it but I think the images still look good. Unfortunately, my scanner didn’t pick up the water colours too well. They look much better in person and I now have a new scanner so future projects with water colour work will be displayed even better! 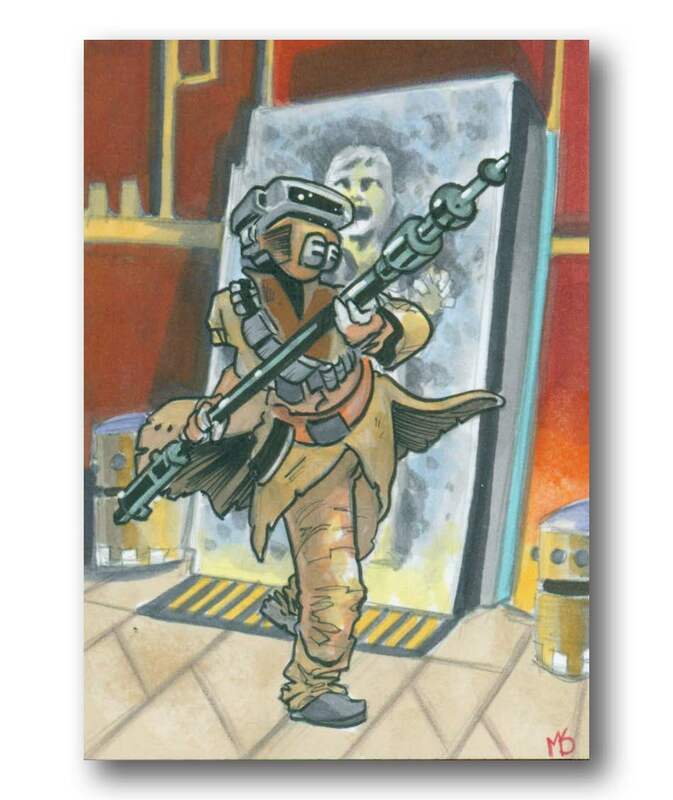 Earlier this year I began dabbling with acrylic paints on my sketch cards. 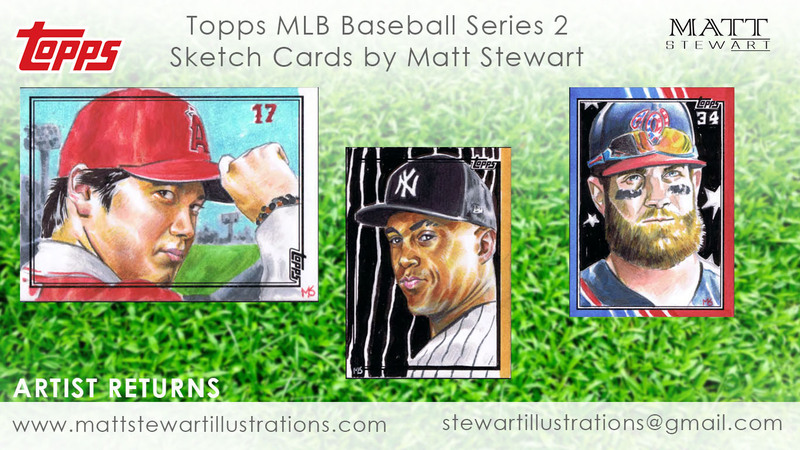 I’ve been inspired by other artists like Kris Penix & Jay Marchand, who create their sketch cards exclusively in acrylic paint. Painting with acrylics is an incredibly so process so I decided to do only a small batch of my cards in this medium. I feel that with every project my acrylic work is getting better and I’m definitely going to be continuing to use it! I even kept a handful of these as my artist proofs! 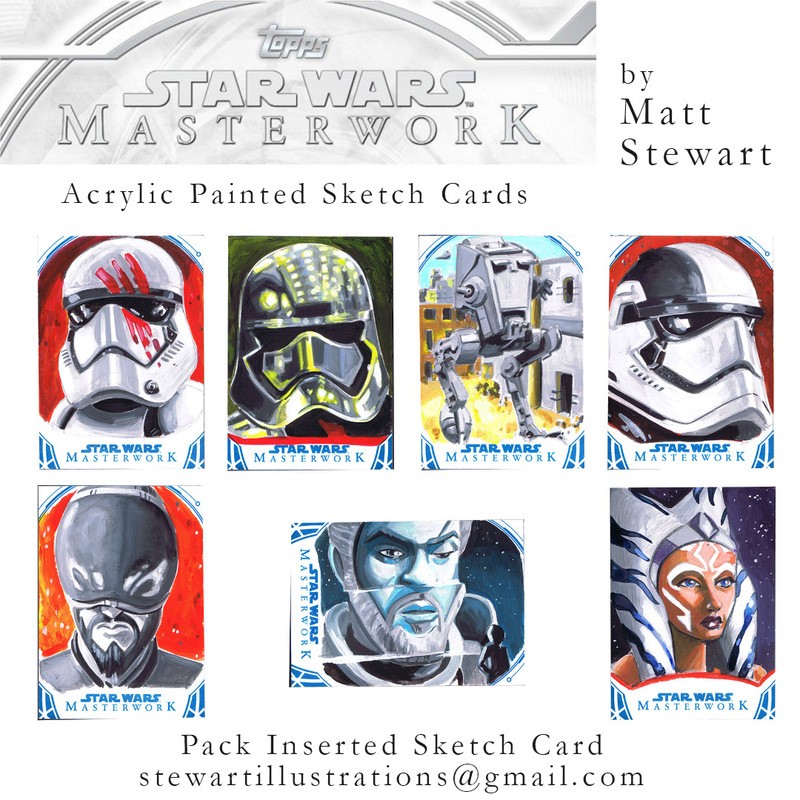 Examples of my sketch cards painted with acrylic paints and inserted into packs! The Ahsoka on the bottom left has already been pulled and listed on ebay. 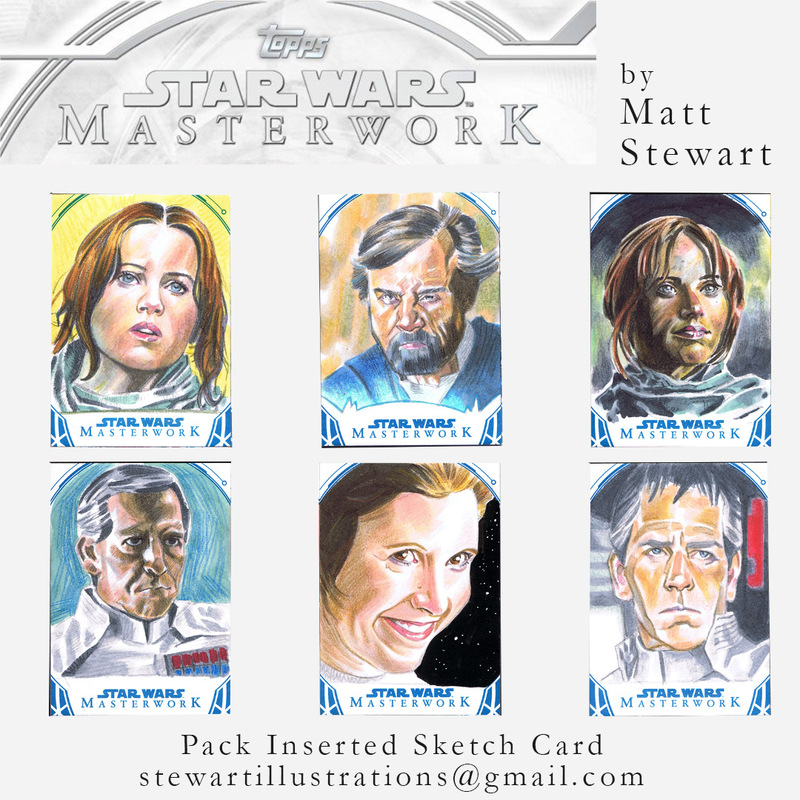 I have six artist proof sketch cards available to sell from this project. The Yoda, Fett & AT-AT Driver are all painted in acrylic. The Jyn and Rey have acrylic painted backgrounds and copic/ pencil crayon portrait foregrounds. The Galen is all copic /pencil crayon. Please contact me if you are interested in buying one or more of my artists! 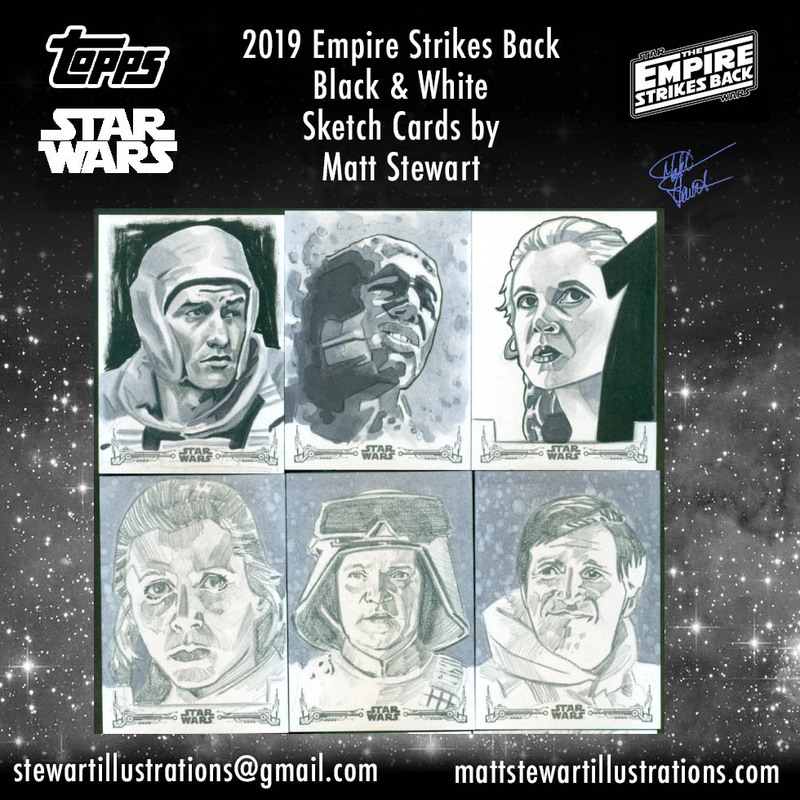 Topps 2018 Star Wars: A New Hope Black and White Sketch Cards is a new trading card set that features imagery strictly from the first Star Wars movie (read more about the set here). 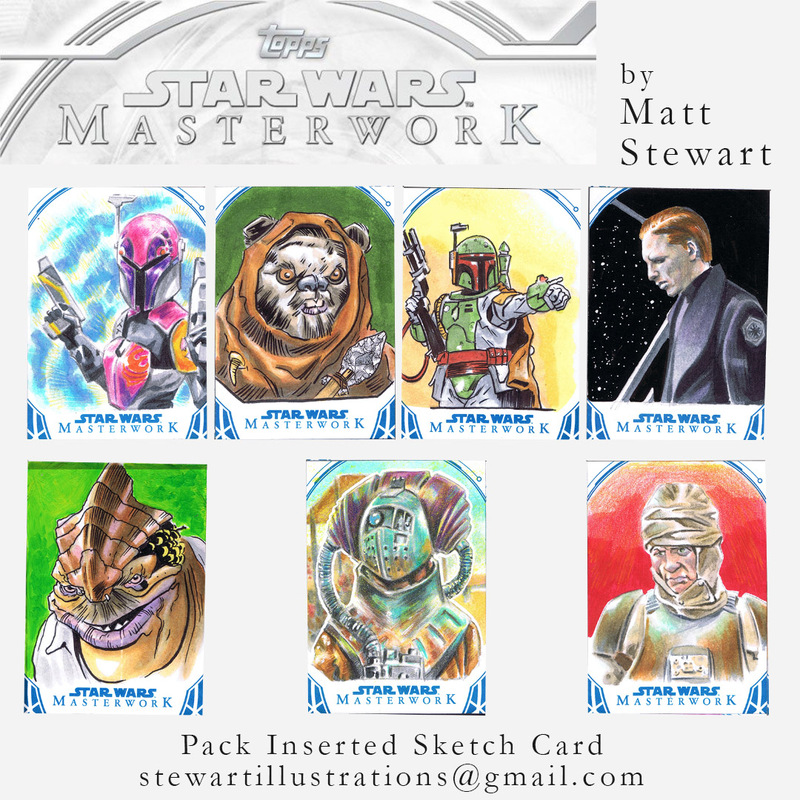 For my part, I created 35 unique sketch cards but chose to do them all in colour. 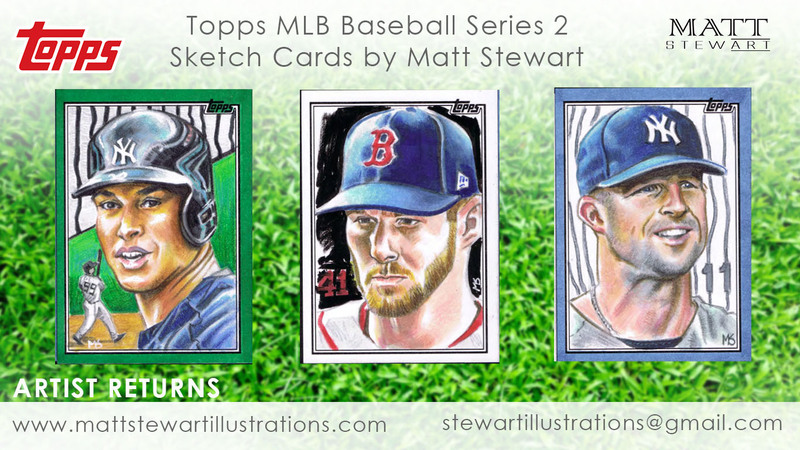 I somewhat wish I had decided to create them in black and white but perhaps if Topps decides to do another set like this I’ll go with black and white. 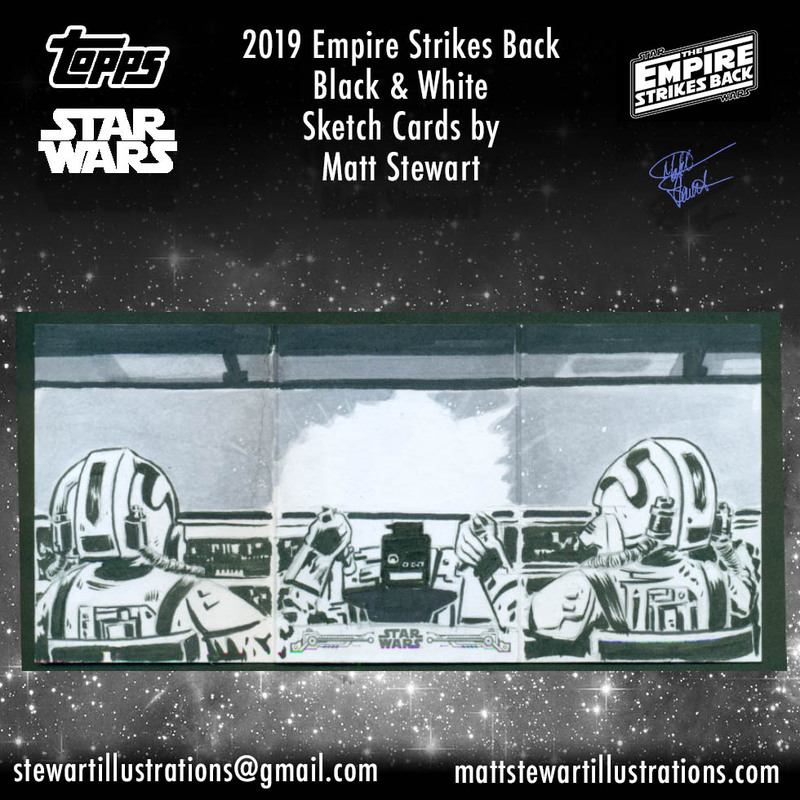 This set is my fifteenth Star Wars set that I’ve had the pleasure of working on for Topps; check out the full list of my projects here! Even though I’ve previously drawn all of the major and many of the minor characters in these projects, I still find new scenes, new characters, and new ways of depicting Star Wars imagery. 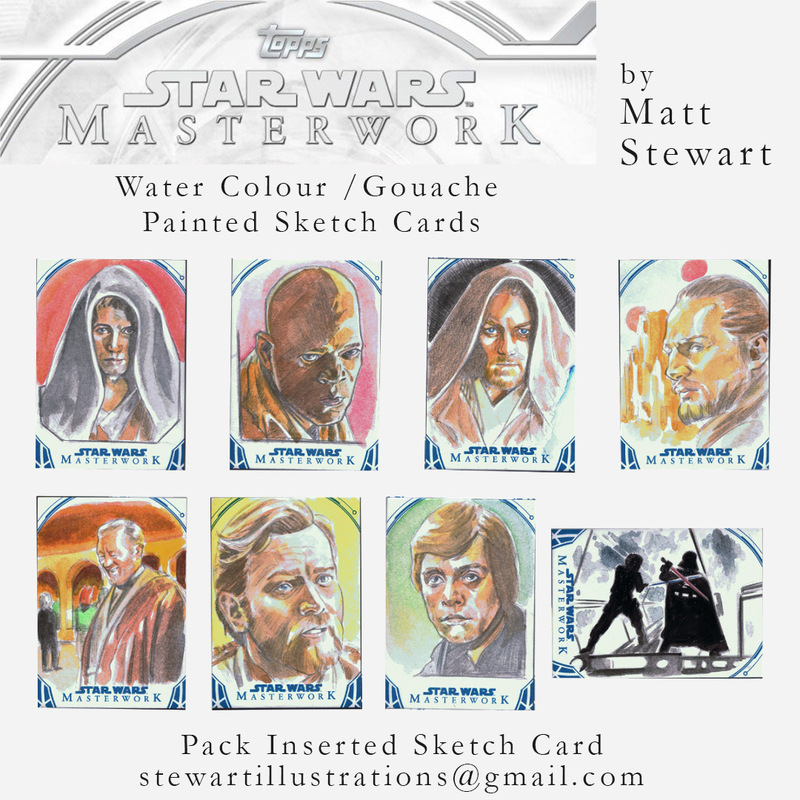 It really is a blast and easily one of my favourite properties to work on in sketch cards. For the first time I tried puzzle cards for a Topps Star Wars set. 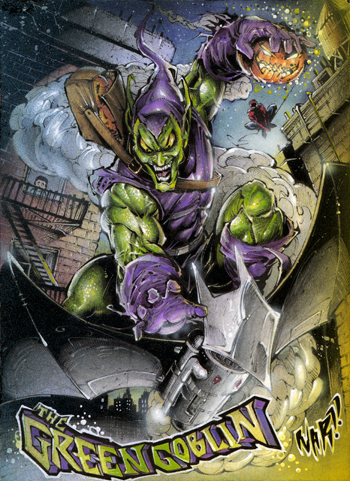 Puzzle cards are when multiple sketch cards connect to create one larger image. For Topps, these puzzle cards are packed separately so a collector would have to track down the other cards of the puzzle. This is unlike Upper-Deck who packs all of the puzzle cards together into a single pack of cards. Because Topps packs the puzzle cards separately, I made sure that each piece of the puzzle would stand on their own. Each card has the full image of a character or ship on it, but the background is what connects the cards together. I also did this for two of my artist returns, which I think worked out well for depicting the Cantina scene where Luke, Obi, Chewie and Han all meet for the first time. 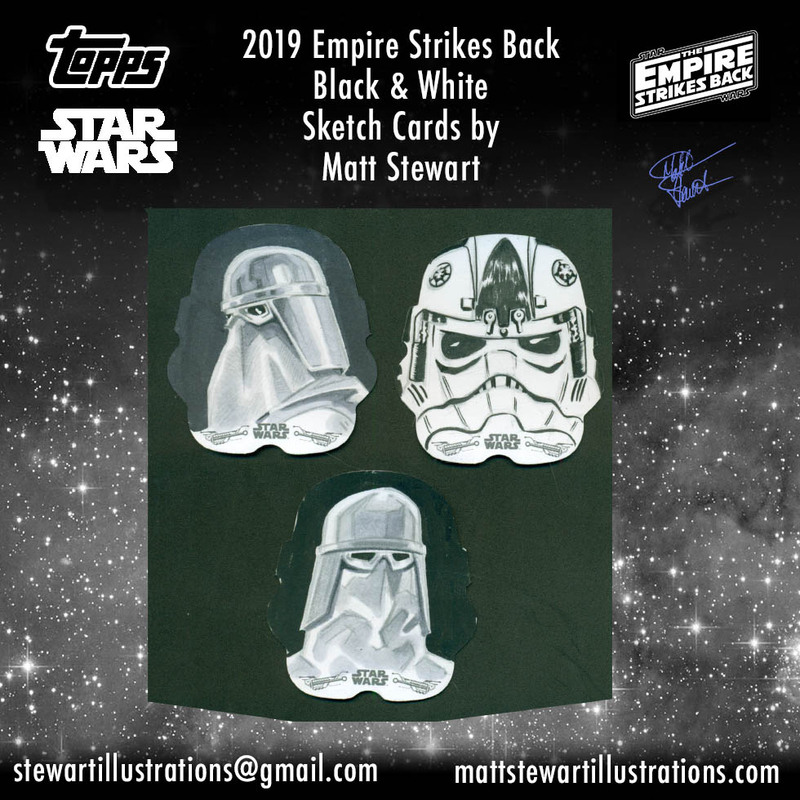 Different from other Star Wars sets was the inclusion of die-cut sketch cards in the shape of Vader and a Stormtrooper’s helmet. 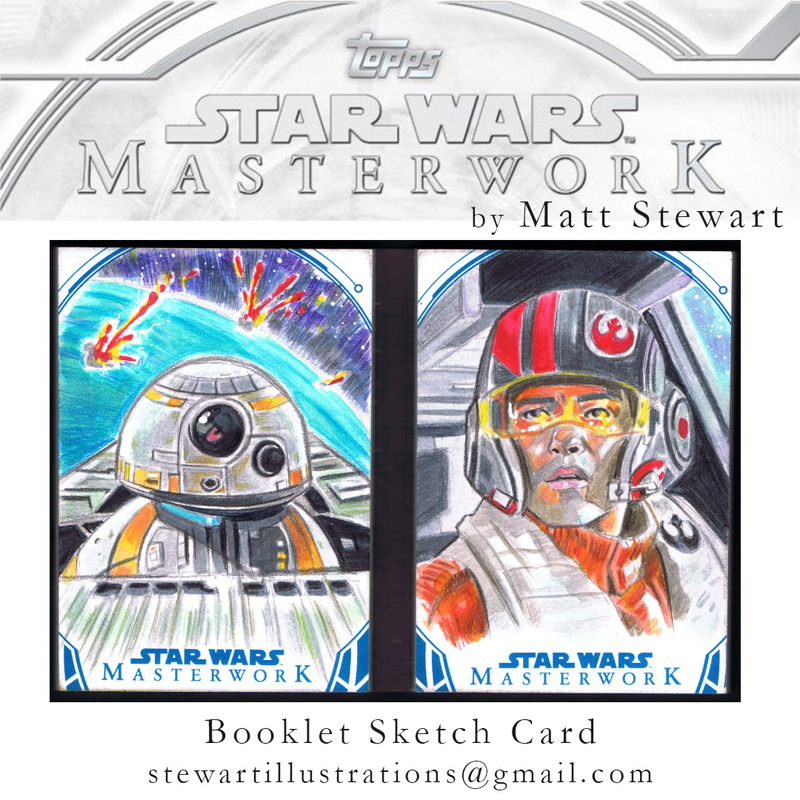 Previously, Topps had recently released bb-8 and bb-9e shaped cards. 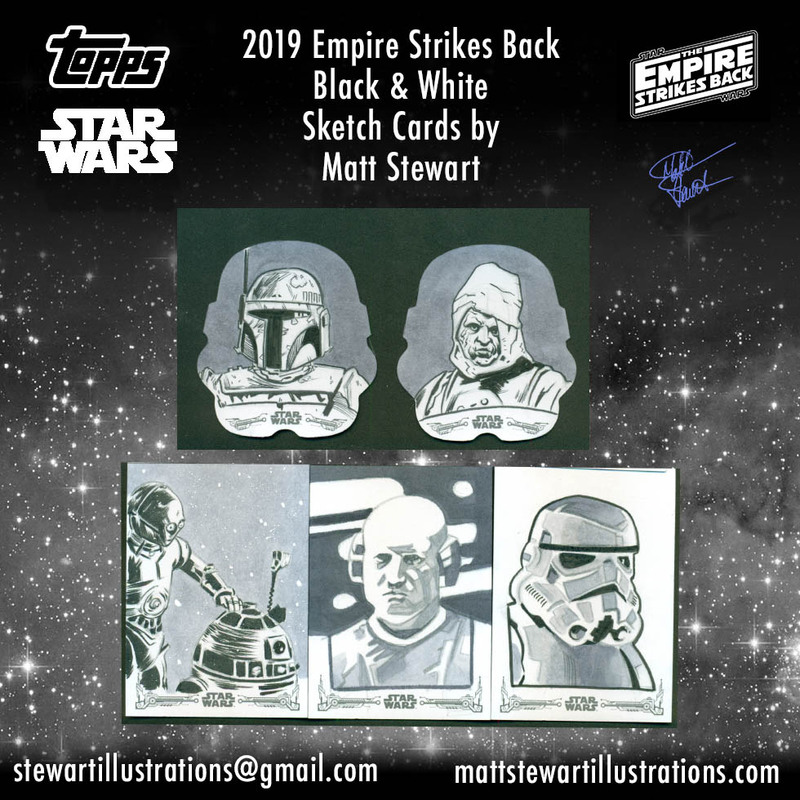 I loved the idea of vader and trooper shaped cards and while I was sticking with simple portraits I wanted to create something that was interesting to have inside these shapes. 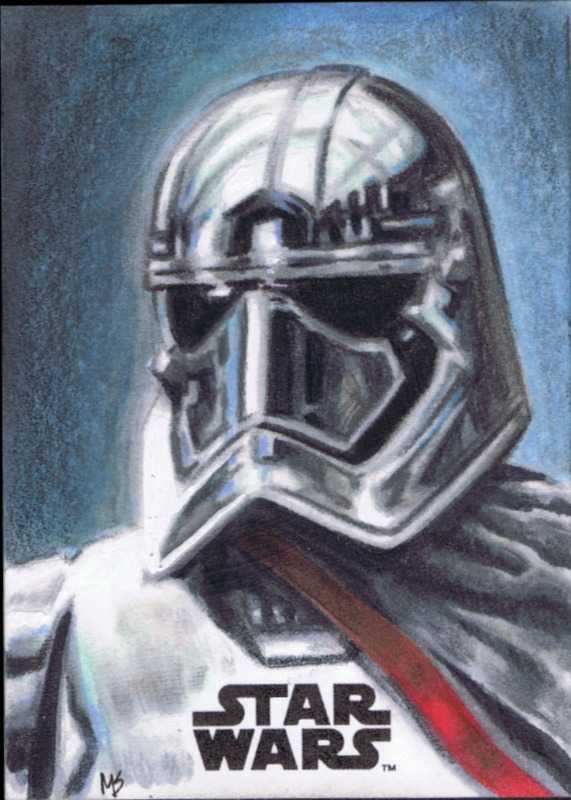 For the Vader shaped cards I drew Luke and Leia and for the Stormtrooper helmets I drew a sandtrooper and Tarkin. Currently my puzzle artist proofs have already sold, but please check my ebay postings for the others. If they’re not listed, contact me about them or a commission! These past few weeks I’ve been playing catch-up on pretty much everything, including posting on my website. 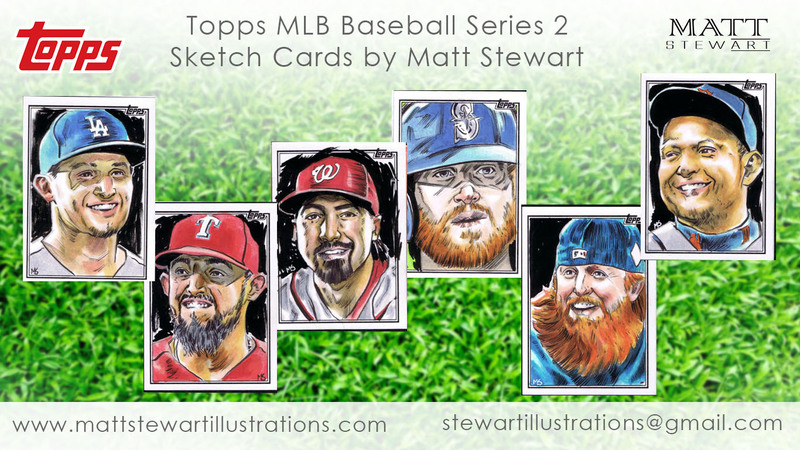 One thing I’ve been meaning to post about is that I was interviewed twice recently about my sketch card artwork. I was both surprised and flattered that I was asked for such interviews. I was also happy that I could show off some of my artwork to a few new eyeballs! 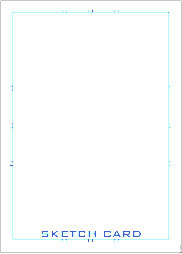 I often have blinders on when I get busy, such as the past few months where all I do is focus on meeting art deadlines. It amazes me that people out there like my art and collect it. 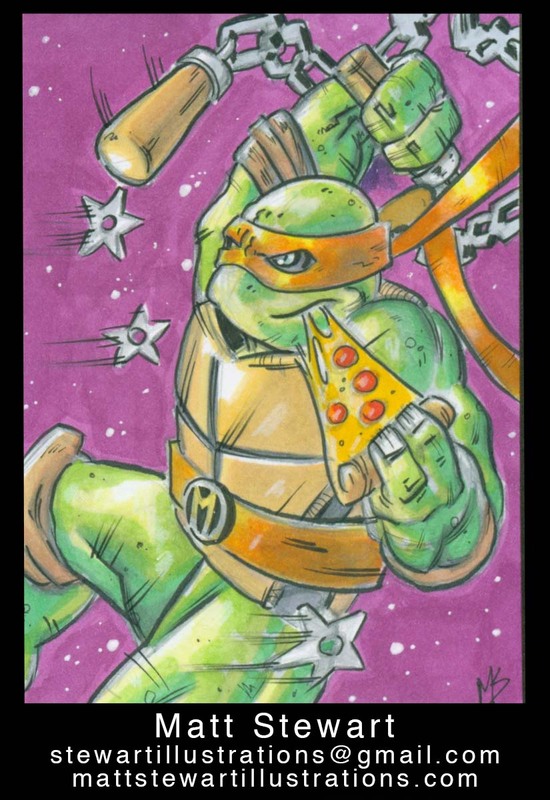 It’s something I never really expected to have happen five or so years ago and I truly appreciate hearing from people who collect this or that drawing I made! 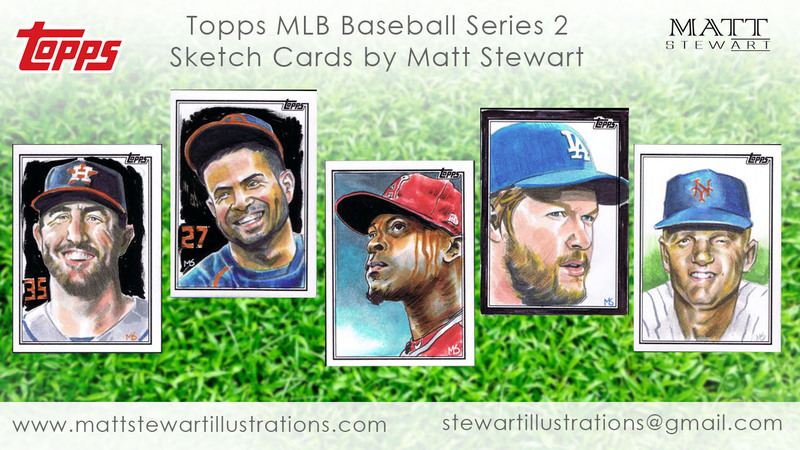 The first interview was on That Sports Card Podcast back in October of last year. This interview was really cool as I was able to talk about a few different topics that ranged from who I am personally, what I collect, and about the artwork I create. Hopefully I came across OK on the podcast and at some level am interesting to listen to! The second interview came from the online magazine, Collection Connections. 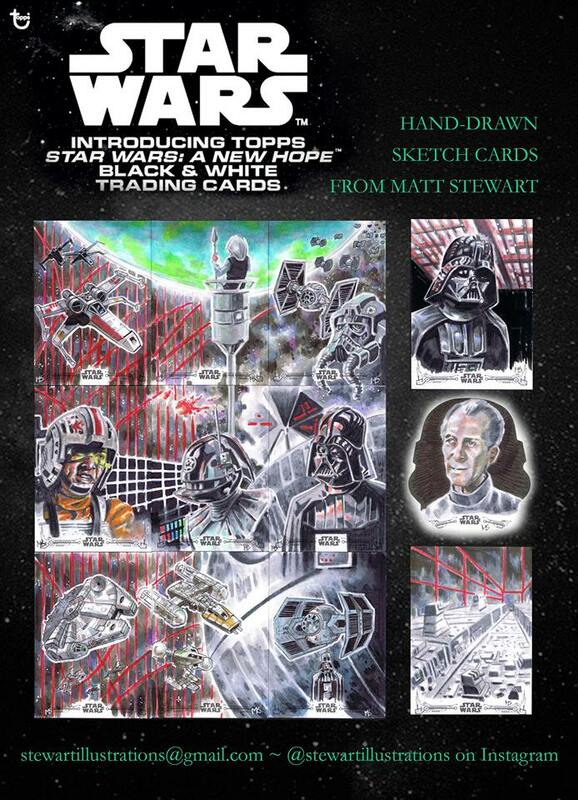 I was sent a few questions which again were about my sketch card artwork and my own collecting hobby. 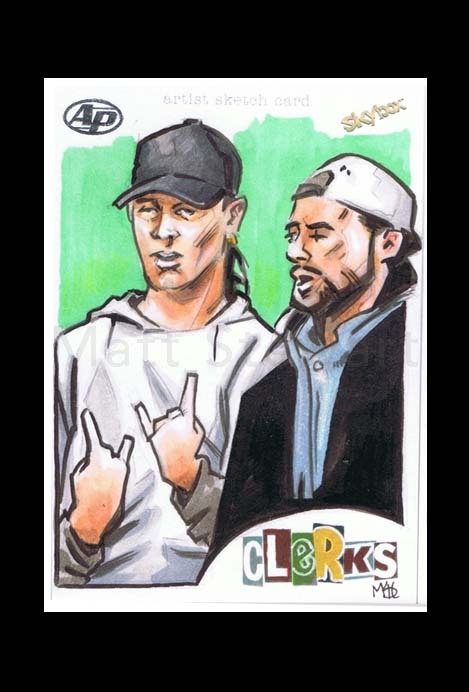 I’m not sure how many other artists collect but I am a big card collector (mainly hockey) along with Lego and comic books. Again, this interview was a lot of fun to do. Like most people, it’s hard not to enjoy talking about yourself and what you do. 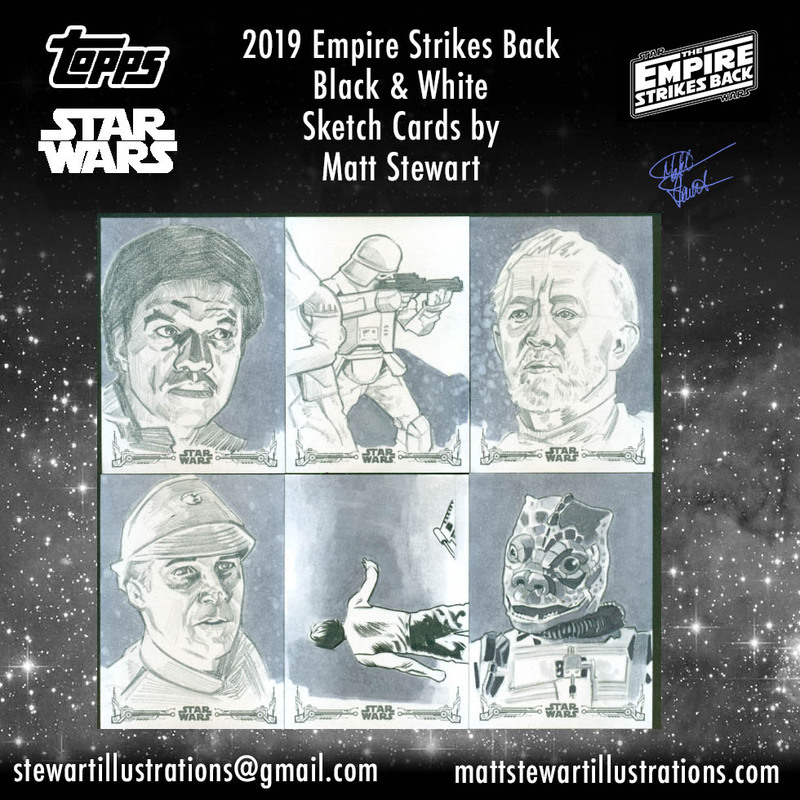 Another cool bit of news is that Steve over at the Star Wars Everything website has been kind enough to highlight some of the sketch card artists on new Star Wars trading card sets produced from Topps. 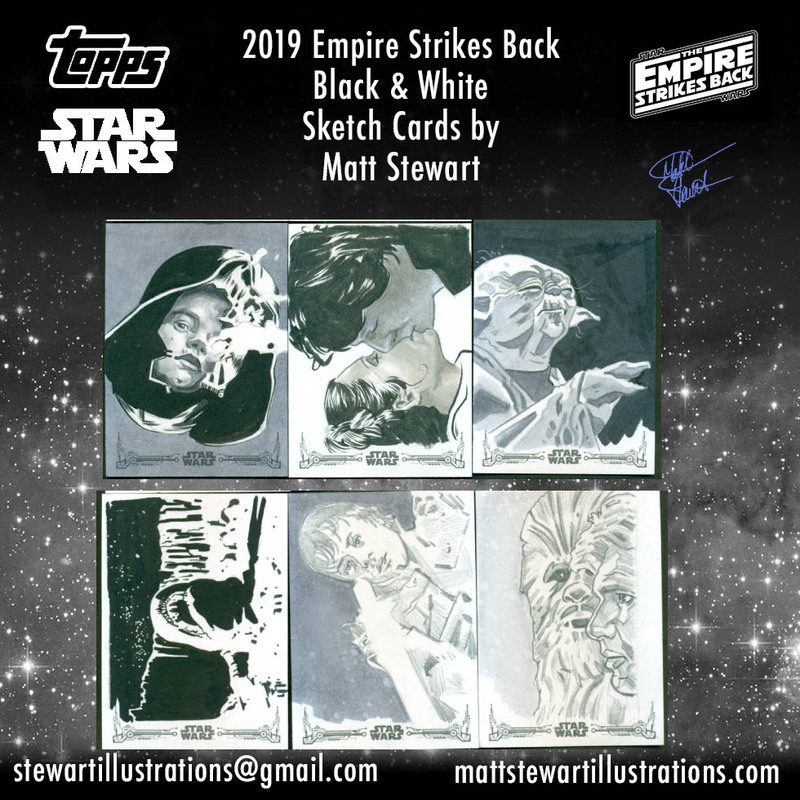 Myself and a handful of other artists have been able to post examples of our sketch cards on his website, where he also talks more in depth about that particular Star Wars trading card product that is coming up. Really appreciate an opportunity to post some more of my artwork! If you would like to ask me a question directly or interview me for your website or podcast, please drop me a line here!